As talks between the IMF and Pakistan continue, Nadir Cheema explains why fiscal austerity may be needed to reduce Pakistan’s current account deficit and why energy subsidies may be a key target for any fiscal cuts. Notwithstanding the recently secured short-term support from Saudi Arabia and claims of support from China, Pakistan’s large medium-term external financing gap continues to render an IMF programme inevitable. Here, the discourse on IMF fiscal conditionality needs to be examined first on why some fiscal austerity may be needed for reducing Pakistan’s current account deficit; and secondly for why energy subsidies may be a key target for fiscal cuts — while these have come down in recent years due to relatively low oil prices and the 2013 subsidy reform, they are still significant, and may climb as oil prices rise. 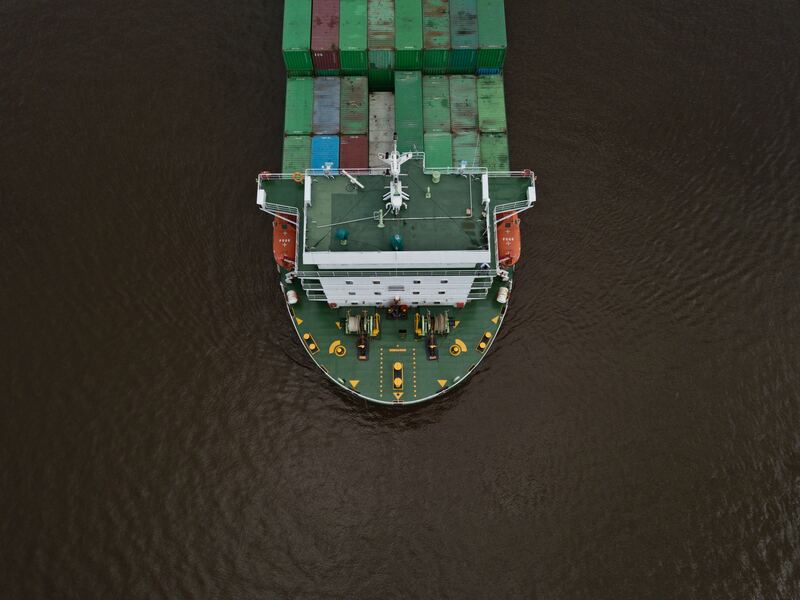 On the first, there is substantial evidence that the current account deficit and fiscal deficit are bound together in the ‘twin deficits’ phenomenon. The trade deficit is the main driver of the current account deficit in Pakistan. 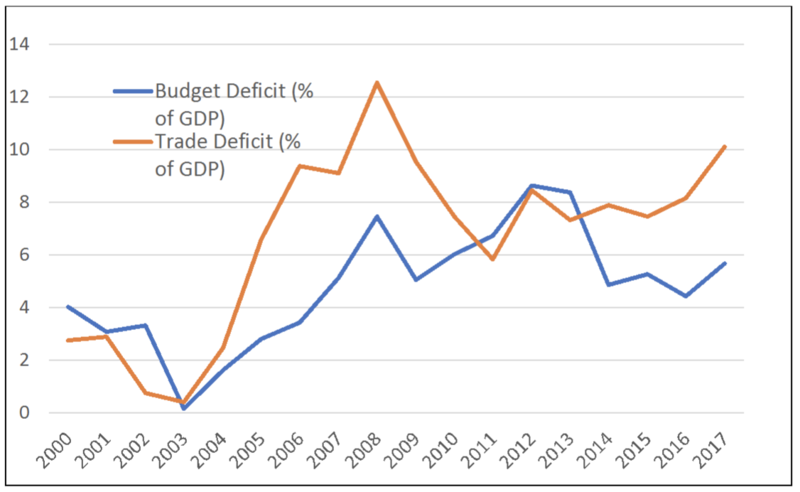 A simple time plot of the trade deficit and fiscal deficit over 2000-17 tells the story well: the two variables generally move together, with a correlation of 0.66. Several econometric studies, eg ‘An Empirical Investigation for the Twin Deficits Hypothesis in Pakistan’ (Mukhtar et al., 2007) and a ‘Twin Deficit Hypothesis: a Case of Pakistan’ (Yasmin, 2015) provide evidence of this. There is also cross-country evidence: ‘Fiscal Policy and the Current Account’ (Abbas et al, 2011), find for a large sample that one percentage point of GDP strengthening of fiscal balance is associated with a current account improvement of about 0.5 percentage point. The association is stronger when initial debt levels are high, as in Pakistan today. It is useful to reflect on the channels through which fiscal policy affects the current account. Having shown that fiscal policy has an important impact on the current account, a question in the context of ongoing IMF negotiations is: what type of fiscal adjustment would be most appropriate to reduce the trade deficit. There are many views, but universal energy subsidies are an obvious area for discussion, especially when there is much misunderstanding about their impact. Pakistan has a history of giving large fuel subsidies to its citizens in the face of rising oil prices. These subsidies rose to almost three per cent of GDP in 2012 near the historical peak of oil prices. Although the subsidy budget fell in recent years due to unusually low oil prices, the recent uptick in oil prices will test the government’s resolve (including its commitment to the subsidy reform introduced in 2013). The fuel subsidy also results in a greater demand from consumers for energy imports than would obtain in the absence of the subsidy, thus constituting a source of common drain for the fiscal and current accounts. The government’s fear that passing a large oil price increase to consumers will hit the poor is misplaced. Why? Energy subsidies are regressive — they largely benefit the rich, not the poor. This point has been made at length. For instance, Unequal Benefits of Fuel Subsidies in Developing Countries (David Coady et al., 2015) find for a large group of countries that fuel subsidies mainly benefit higher-income groups. Reflecting the underlying unequal distribution of consumption (where the rich consume a disproportionate share of energy compared to the poor), the richest 20pc capture six times more of the government’s fuel subsidy expenditure than the poorest 20pc. The benefits of petrol subsidies are the most regressively distributed, with over 83pc of benefits accruing to the richest 40pc of households. The authors suggest that governments abolish all universal fuel subsidies in favour of lifeline tariffs and well-targeted cash transfers to protect poor households; and with an exception for exporters. While completely abolishing universal subsidies might not be possible, the unequal distribution of subsidies certainly needs to be looked into. The government would be well advised to heed these expert voices. This article first appeared on Dawn.com on 14 November 2018.